Popular episodic point-and-click adventure video game developer and publisher Telltale Games is adding another big time geek property to its lineup. The game maker has announced that they have joined forces with none other than Marvel Entertainment for a brand new game series that’s expected to arrive sometime in the year 2017. Unfortunately, because it’s still so early and we still have so long to wait, no other details are known about what Marvel characters could be involved or if it will be based on comics on the many movies made that have been based on said comics. Announced this evening in San Francisco, we’re excited to reveal an all-new partnership with the incredible team at Marvel Entertainment. We’ll be teaming up on the development of an upcoming Telltale game series project set to premiere in 2017! Telltale has made game series based on movies like Back to the Future and Jurassic Park, but it was their incredible Game of the Year take on Robert Kirkman’s The Walking Dead comic book series that really sent them soaring. Since then they’ve made a game based on Bill Willingham’s Fables comic book series titled The Wolf Among Us, a second season of The Walking Dead, a spinoff of the Borderland games called Tales from the Borderlands, and their own story set in HBO’s Game of Thrones world. 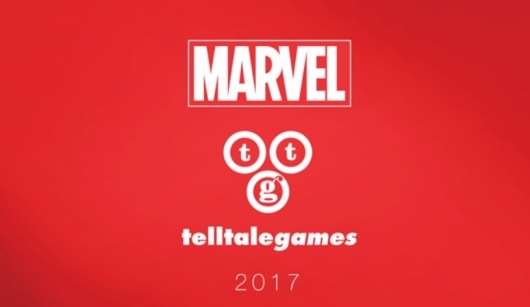 So what kind of Marvel game are you hoping to see Telltale make? Would you rather it be something that sees you working alongside some of their biggest Marvel Cinematic Universe characters like Iron Man, Thor, Captain America, and Hulk, other groups such as the X-Men or Guardians of the Galaxy, something darker and more mature involving characters like Punisher, Blade, Daredevil, and so on, or something else?